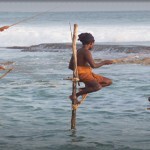 Experience the finest sights of Sri Lanka, Historical Sights of Colombo, Anuradhapura – Ruins of Ancient Lankan Civilization, World Heritage Site. 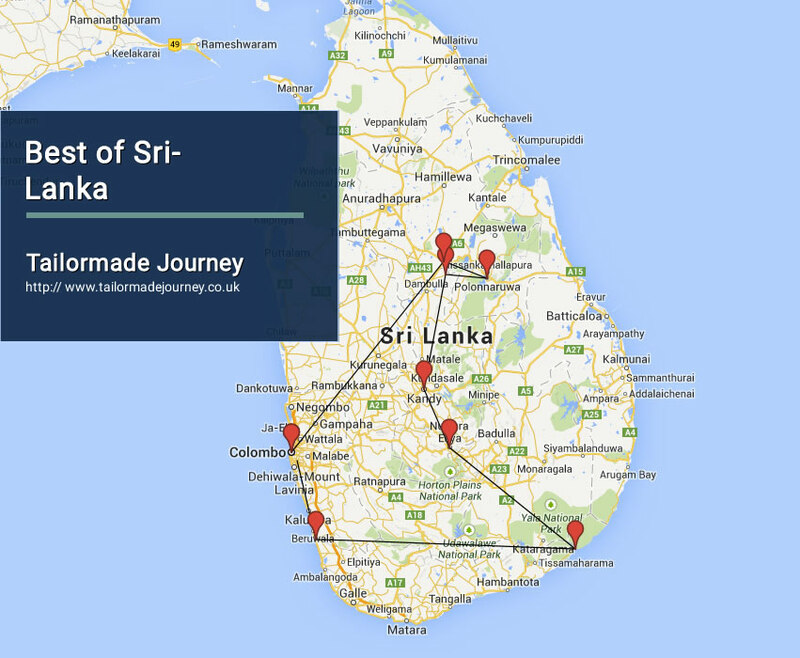 Arrive Colombo 1 Night > Drive Habarana 3 Nights ( Excursion Polonnaruwa & Sigiriya ) > Drive Kandy 2 Nights > Drive Nuwara Eliya 2 Nights ( Horton Plains ) > Drive Yala 2 Nights ( Wildlife ) > Drive Bentota 2 Nights ( Beach ) > Drive Colombo & Leave. 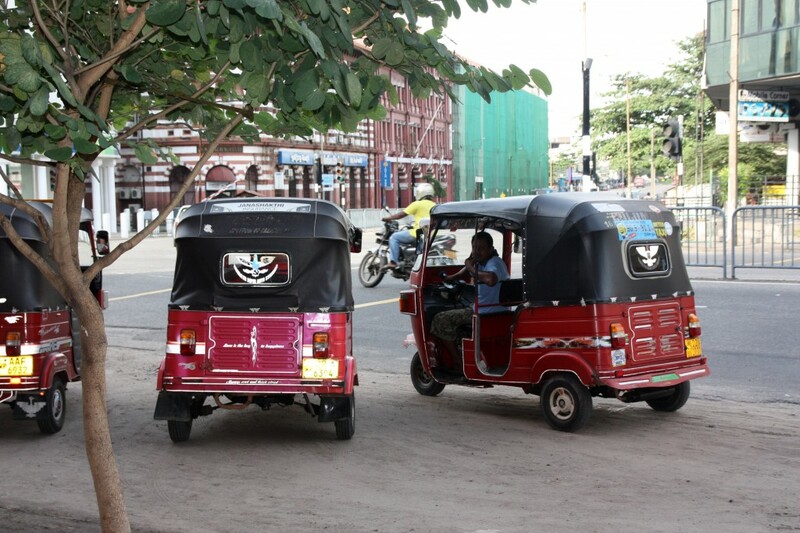 Upon arrival in Colombo Airport you are met by our representative and transferred to your pre booked Hotel. Afternoon commence a sightseeing tour of the city of Colombo. Drive through the commercial and city centre area known as the “Fort”, built by the Portuguese in the 16th century where grand colonial era buildings stand alongside modern office structures. See the busy markets and noisy bazaars of Pettah, the National Museum with its fine collection of lovely antiques and art of Sri Lanka. Drive past the Town Hall, Independence Square, the B.M.I.C.H (International Convention Centre) and Cinnamon Gardens residential area and visit a Buddhist temple and a Hindu Kovil to experience the diversity of religion, ethnicity and customs of the people. After breakfast leave for Habarana. Upon arrival in Habarana check in at your pre booked hotel.Rest of the day free relaxing at the Hotel.Dinner and Overnight stay at a hotel in Habarana. 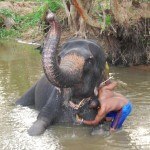 After breakfast at the hotel leave for Anuradhapura. On arrival in Anuradhapura, visit the sacred ancient city founded in the 04th century B.C a UNESCO World Heritage site since 1982. 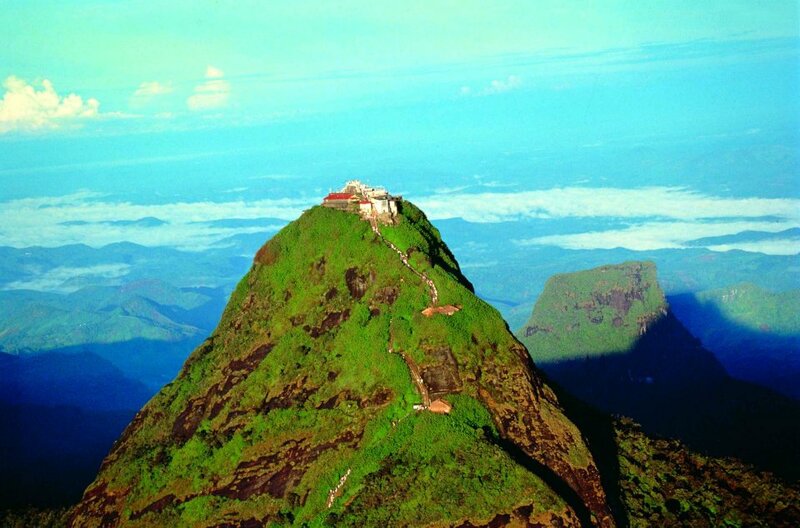 It has the largest number of ancient monuments of the great Sinhala civilization which flourished in this region. 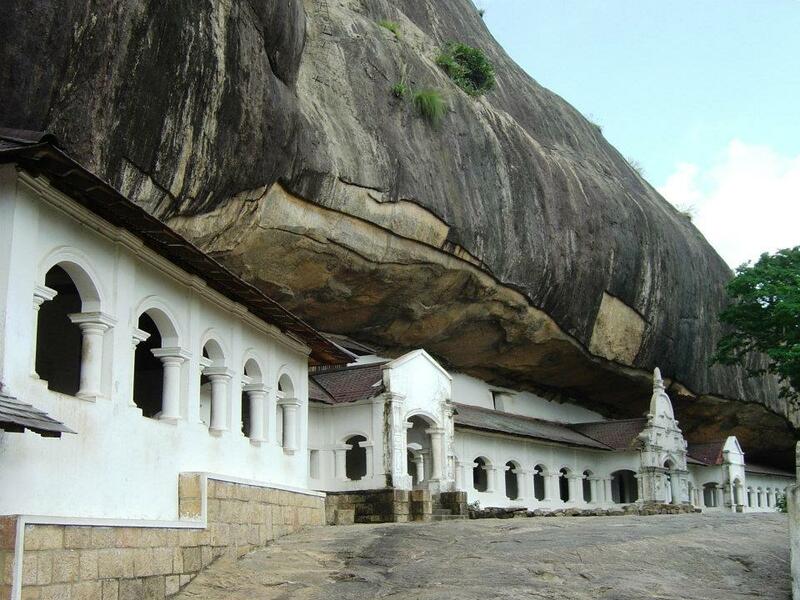 You will see some of the most famous as well as the tallest dagobas of Sri Lanka, Ruwanweliseya Dagoba, 2nd century BC with its famous elephant walls and the 3rd century BC Thuparama Dagoba. Ruins of ancient royal palaces specially the pillars of the Brazen Palace, which once had nine storeys, temples, the image of the Samadhi Buddha one of the finest pieces of Buddhist sculpture, monasteries, the twin ponds, guard stones and the moonstone. The ‘Sri Maha Bodhi’ or the sacred Bo tree is over 2200 years old grown from a branch of the very tree under which “The Buddha” attained enlightenment – the oldest historically documented tree in the world. 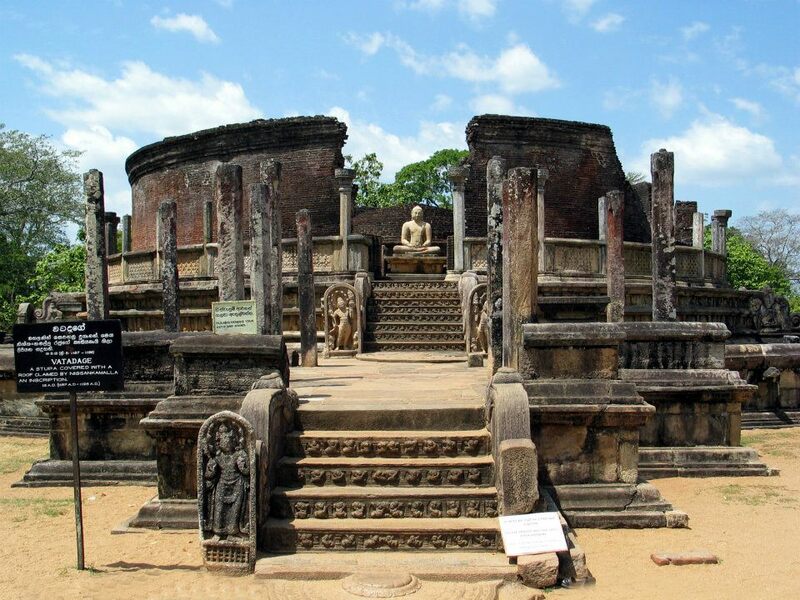 After breakfast leave for Polonnaruwa, (UNESCO World Heritage Site) the Capital of Sri Lanka from the 11th to 13th century, a well-planned medieval city defended by enclosing walls (around 5 km. 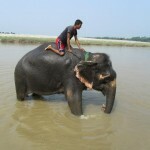 which still remain),graced by palaces, shrines, monasteries, pavilions, parks, ponds and irrigation lakes. 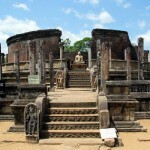 Polonnaruwa is strewn with ruins in a resplendent state of preservation. Of these the ‘Vatadage’ and the ‘Thuparama Image house’ are the most spectacular. 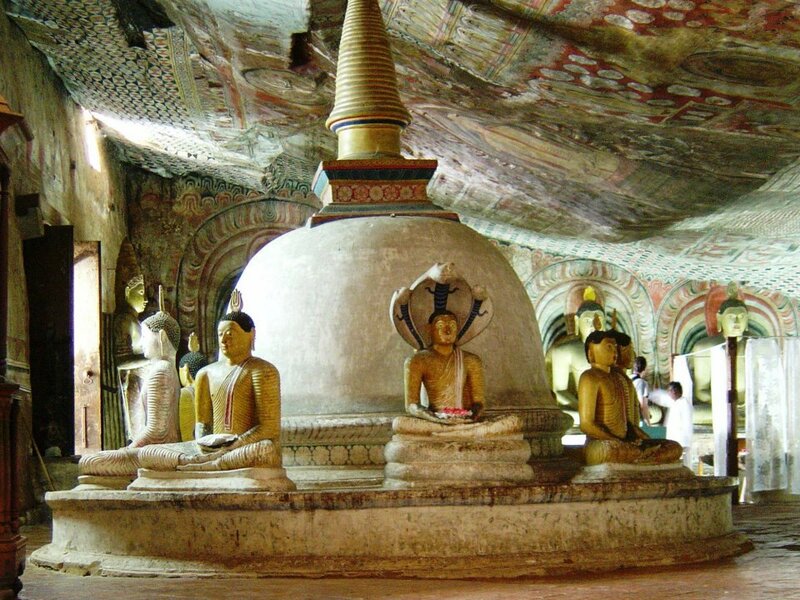 The ‘Gal Vihara’ which consists of statues of the recumbent, standing and seated Buddha have been cut from a single granite wall and rank among the true masterpieces of Sri Lankan Art. 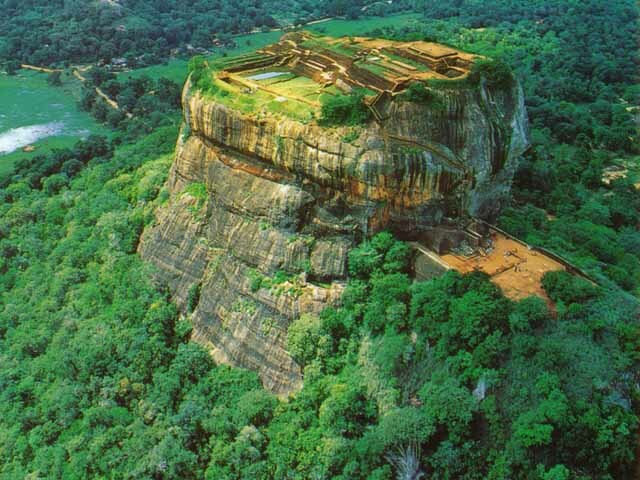 On completion, return to the hotel.On completion leave for Sigiriya and climb the Rock Fortress (a UNESCO World Heritage site) built by King Kassapa in the 05thcentury A.D. which was a Royal Citadel for more than 18 years. 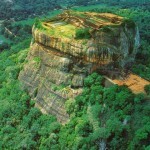 The lion rock is a citadel of unusual beauty, rising 200 metres from the scrub jungle. The base of the rock is ringed by a moat and rampart and extensive gardens including the renowned water gardens. The majestic Lion’s Paw picturesquely guards the stairway of the palace on the summit. See the famous frescoes of the “Heavenly maidens” of Sigiriya in a sheltered pocket of the rock and the 10 foot high Mirror Wall. 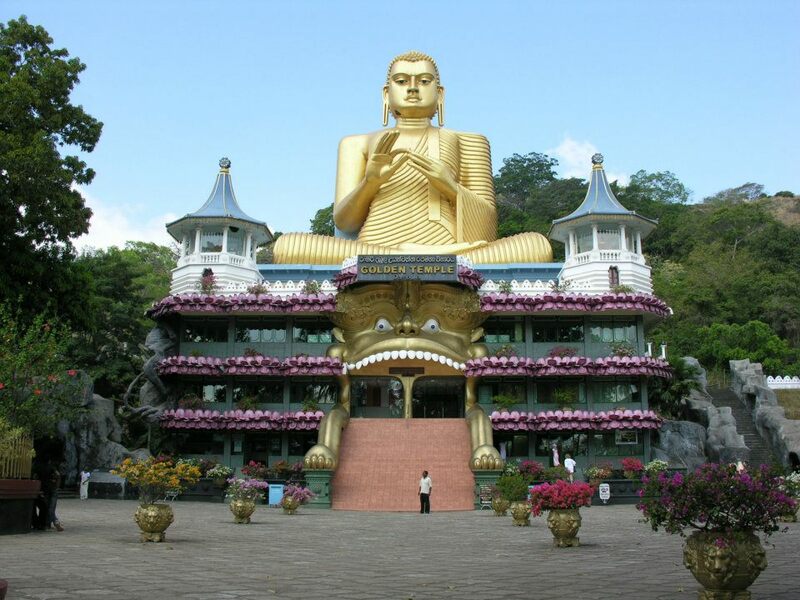 After breakfast at the hotel, leave for Dambulla and visit the famous Golden Rock cave temple which has been declared a UNESCO World Heritage Centre. 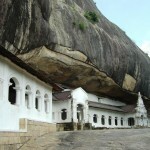 A sacred pilgrimage site for 22 centuries, this cave monastery, a vast isolated rock mass with its five caverns is the largest best preserved cave-temple complex in Sri Lanka. The Buddhist mural paintings (covering an area of 2,100 sq. 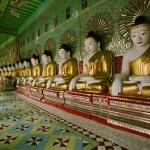 meters) are of particular importance as are the 157 statues including a 47 foot long statue of the recumbent Buddha. The ceiling of one cavern is fully illustrated with paintings that follow the natural folds of the rock so closely that it appears to be made of cloth. 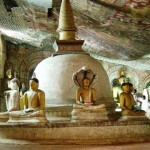 The complex of caves is one of the most impressive Buddhist Temples in the world. After breakfast leave for Kandy. 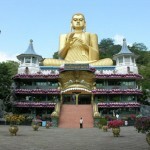 On arrival in Kandy, check in at hotel and after a short break, commence a sightseeing tour of the city. This bustling hill country capital is now a UNESCO World Heritage Site. 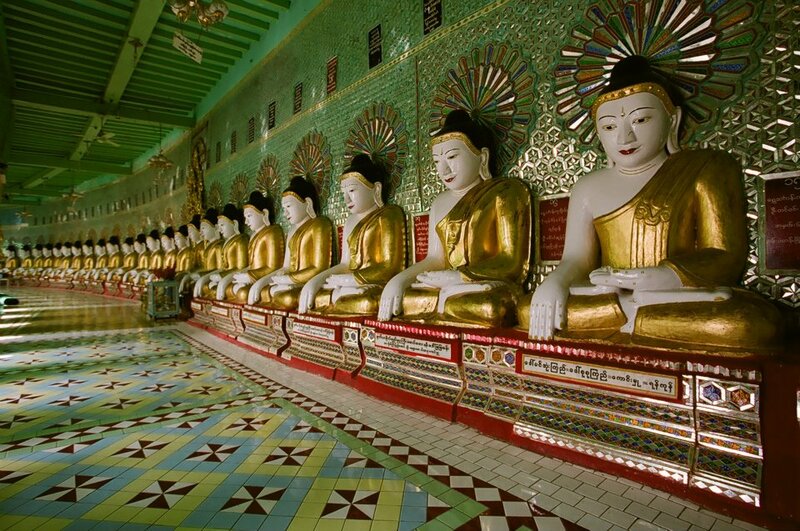 Visit the pink painted famous Temple of the Tooth which houses the most sacred religious relic, the tooth of the Buddha. Drive past the picturesque premises of the University of Peradeniya and visit the Market Place, and an Arts &Crafts show room. Then drive along the Upper Lake road to get a panoramic view of the Kandy Lake built in 1807 which is an attractive centerpiece to the town. 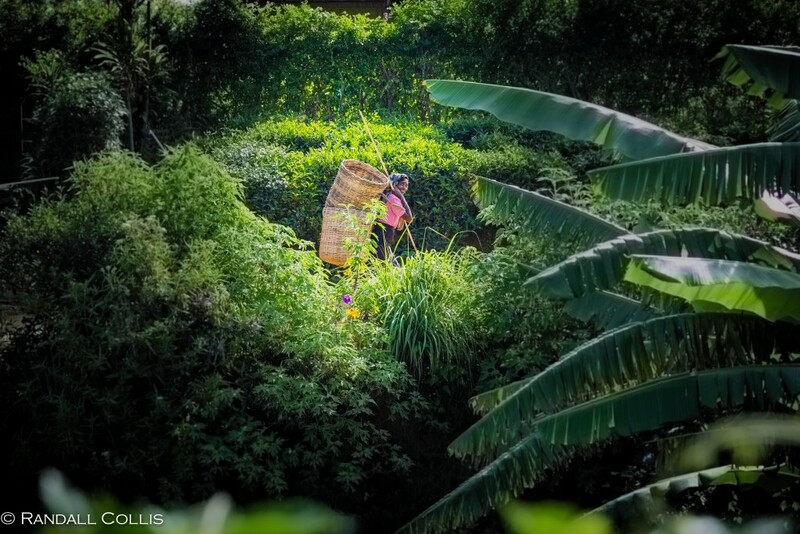 Also visit the Peradeniya Botanical Gardens, where a rare collection of tropical exotic and indigenous flora including the famous Orchid House could be viewed. Kandy is also popular because of the annual festival known as the Esala Perahera where the inner casket covering the tooth relic of the Buddha is taken in a grand procession through the streets of the city held annually in the month of July or August. Late evening enjoy the Kandyan Cultural show at the Kandyan Arts & Cultural Centre. The show features the graceful and rhythmic dancers and drummers culminating in an impressive fire walking display. After breakfast proceed to Nuwara. 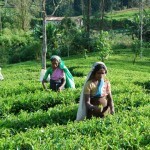 En route visit a tea plantation and a tea factory. 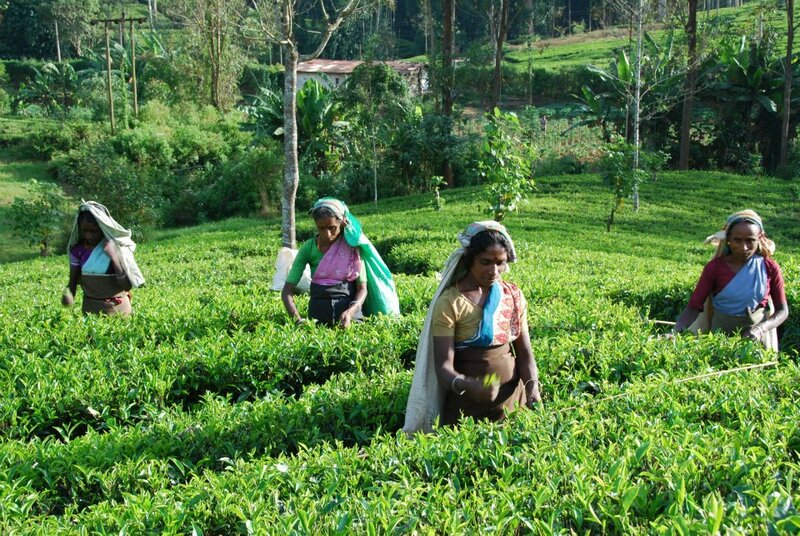 At the tea factory witness the process of manufacture of tea from plucking of the green leaves to packetingof the processed tea. 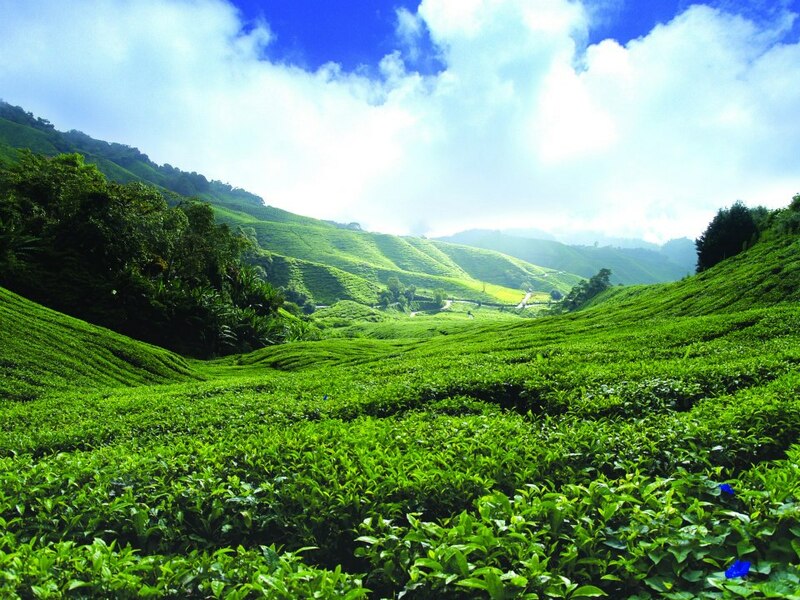 Set in the heart of Tea Country, situated 1890 meters above sea level, this beautiful town of Nuwara Eliya is where the British succeeded in creating an English countryside with homes in styles from Georgian to Queen Anne with well kept lawns with hedges. On arrival in Nuwara Eliya commence a sightseeing tour of the city. Visit the Nuwara Eliya Town, Market place, Golf Course, (one of the finest 18 holes Golf Courses in Asia) the Hill Club, and drive around this hill station viewing Lake Gregory. 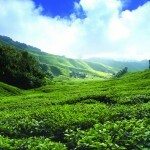 After an early breakfast at hotel leave for Horton Plains, the highest plateau in the country. 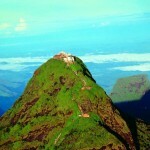 It is one of the very important National parks in Sri Lanka especially for its topographical variations. It has unique vegetation and is famous for many rare and endemic highland birds. The most awesome physical feature of the Horton Plains is the escarpment that falls 880 meters to the lowlands of the southern region of the island. Aptly known as the ‘World’s End’ the view from the precipice of the countryside below towards the south coast is spectacular. Dawn or early morning is the best time for observing it. 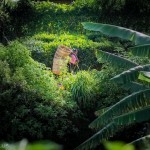 On completion, return to Nuwara Eliya. 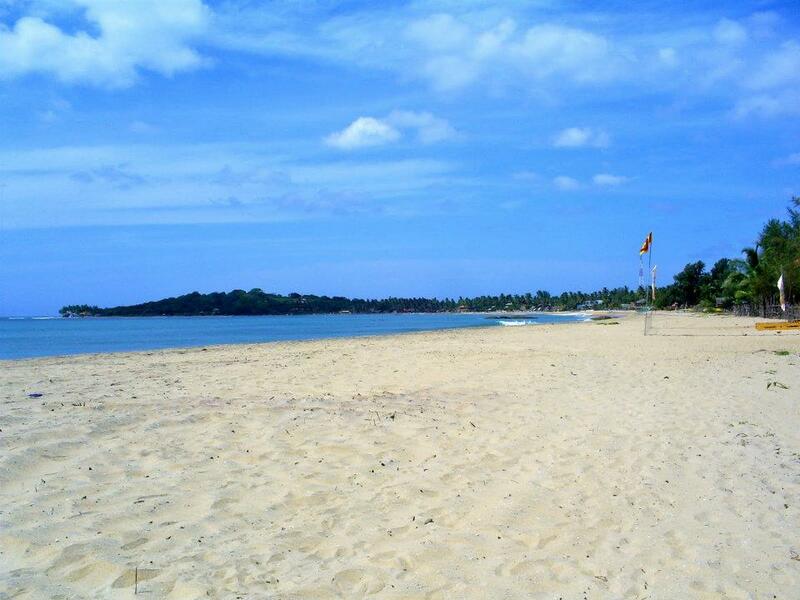 After breakfast proceed to Yala in the south of Sri Lanka. En route visit Rawana Waterfalls, a sight to behold with a scenic backdrop of mountains and valleys. It is featured in the Rawana mythology, where Sita is said to have bathed from this waterfall while she was in captivity. 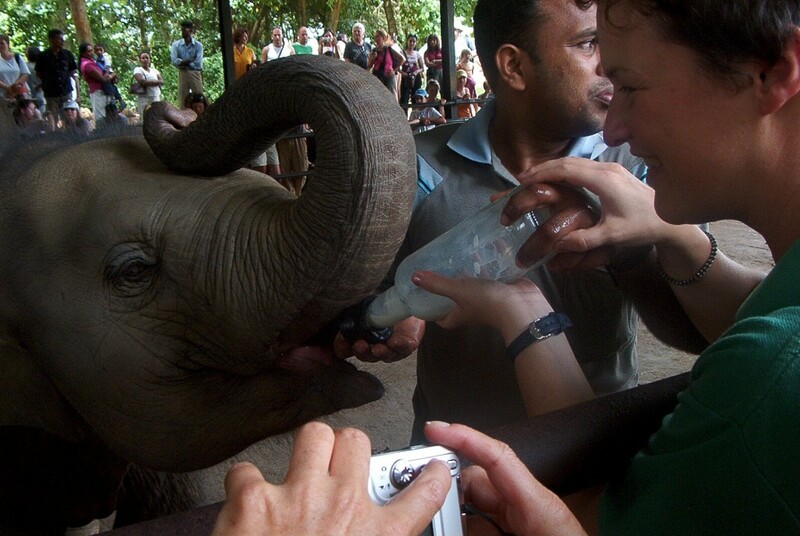 On arrival in Yala, check in at the hotel. 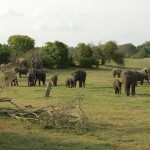 After breakfast commence a jeep safari in the Yala National Park by private jeep accompanied by a tracker. 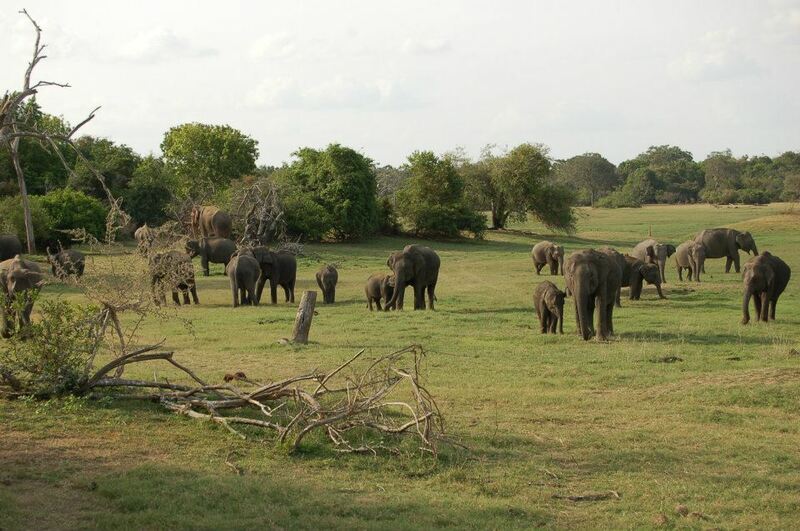 Yala National Park one of Sri Lanka’s premier eco tourist destinations is renowned for its variety of wildlife notably its many elephants. 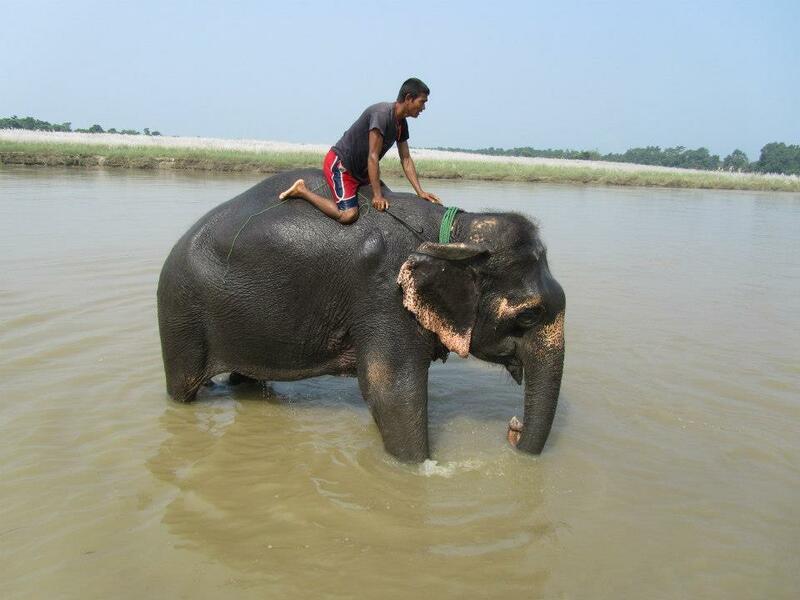 It is also home to the spotted deer, sambar, wild buffalo, sloth bear, jackal, mongoose and crocodiles. The peacock, is easily the most famous of the birds in this park. Yala has a high concentration of leopards although seeing these nocturnal carnivores still requires some luck. 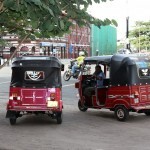 After breakfast leave for Bentota, a tourist resort in the south with the most beautiful, wide and sandy beaches En route visit Galle Places of interest in Galle are a Dutch Church, the Natural Harbour, the Dutch Cultural Museum and the National Maritime Museum. 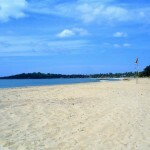 On arrival in Bentota, check in at the hotel. After a short break visit the great church and national maritime museum. 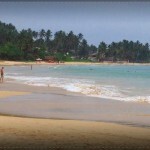 Dinner and Overnight stay at a hotel in Bentota .